Cross of Red Delicous and Jonathan. 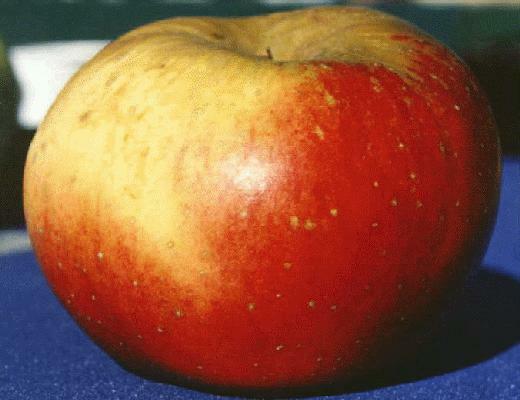 Ohio "State Apple". Large round apple with taste reminiscent of Red Delicious, but more tart. Develops better fruit quality than Red Delicious in the Willamette Valley, where it ripens in mid-October. Good for fresh eating, juice, and cooking. Good keeper.